"Sixty-five million Americans suffer from chronic musculoskeletal pain. In most cases, the cause is mistakenly thought to be due to an abnormality seen on x-ray or MRI. The reality is that nerve irritation caused by spastic muscle is nearly always the cause of the pain, and the time is coming when surgeries, injections, and traditional physical therapy will be replaced by a painless treatment that simply loosens the tight muscles." Did you know that exercising improperly can slowly erode your health? Did you know that joint stiffness and muscle aches do not have to be an inevitable part of aging? Did you know that most surgeries to relieve chronic musculoskeletal pain are performed unnecessarily because the pain is not caused by a herniated disc, torn cartilage, or arthritic joint but by an unrecognized chronic contraction of muscle? Did you know that there is a scientifically-based way to restore the health and vitality of your muscles to the athleticism of your youth? This book reveals the hidden truths about muscle and the ubiquitous phenomenon of hypertonic spasm--a silently growing, permanent con-traction of muscle that affects all of us to some degree and slowly destroys the health and vitality of our muscles without our being aware of it until we begin to experience symptoms that are almost always misattributed to aging or to an abnormality of the spine or joints. In this life-changing book, you will discover how hypertonic spasm develops, how it causes symptoms, and, if you are already suffering its ill effects, what to do to get out of pain and stay out of pain without the need for drugs, injections, or surgery. We’re talking about truths that are destined to revolutionize orthopedic medicine, physical rehabilitation, and the fitness world. So if you want to preserve the vitality of your muscles and get the most out of them; or, conversely, if you have ever thrown out your back, developed chronic pain in a joint, or experienced frightening symptoms of numbness, tingling, or pain down an arm or leg, this book is for you! Purchase on Amazon.com. KANON myotherapy is the only known method of releasing hypertonic spasm, a permanent contraction of muscle that is at the root of most cases of acute and chronic musculoskeletal pain including lower back pain, leg pain, neck pain, and various forms of joint pain commonly misattributed to injury, aging, stress, or structural abnormalities such as herniated discs, osteoarthritis, and spinal misalignments. Developed by Dr. Thomas Griner in the 1960's and 70's, KANON (Kinetically-activated Nerve Organ Normalization) is a pleasurable form of muscle stimulation that actually reverses the neurophysiological process that causes the core of our muscles to become tight and our bodies to become increasingly prone to pain and injury as we age. KANON is not just another treatment approach; it is a scientifically-based, powerfully effective treatment modality that will eventually replace currently existing physical therapies and surgical procedures as the foundational treatment for a group of ailments that are as common as they are misunderstood. So if you want to get out of pain, reverse a recent or long-standing injury, and restore the health of your body, this treatment may be right for you. Understanding the science behind KANON begins with the anatomy. Our peripheral nerves pass between bones, discs, and muscles en route to their destinations throughout the body. With the development of X-ray technology and, more recently, MRI (magnetic resonance imaging), doctors have acquired the ability to see into the body with near perfect clarity. But more often than not, the structural abnormalities they see are not the cause of the patient's symptoms. That's why so many patients fail to respond to surgery and other invasive procedures to alleviate musculoskeletal pain. Even when they do respond, it is typically not the treatment that did it but rather the effect of the treatment on the production of endorphins, the body's natural pain-killers. 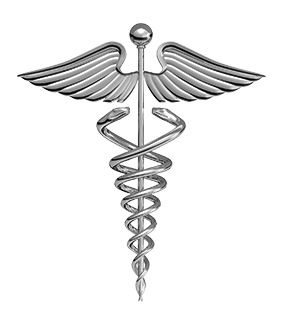 Invasive procedures, like other forms of severe stress on the body such as automobile accidents and battlefield injuries, drive up endorphin production. Endorphins are up to two hundred times more powerful than morphine and have no unnatural effects because they are produced endogenously (inside the body); hence the term "endorphin." However, endorphins do nothing to correct the underlying problem, which in most cases is spastic muscle. Skeletal muscle comprises more than one-third of the body, and peripheral nerves weave through and between muscles en route to their destinations. Healthy muscles are soft when they are at rest, but when their resting tension increases due to hypertonic spasm, they begin to compress and irritate the nerves that run through and between them. Too little activity, improper exercise, a fall, an injury, or sometimes just a simple bend or twist can cause a muscle or group of muscles to lock up and irritate local nerves. In the vast majority of cases, it is actually this form of nerve irritation that causes the chronic pain, numbness, tingling, and other frightening symptoms typical of sciatica and related conditions. But because few doctors and therapists are aware of this, thousands of surgeries and other invasive procedures are needlessly performed and an enormous amount of time and money is needlessly spent each year on non-invasive therapies that fail to address the real problem. It was once believed that a resting muscle had zero tension. But what has become clear from studying denervated muscle in comparison to healthy muscle is that there is always a minimal amount of resting tension in healthy muscle that is regulated by the cerebellum of the brain. In an entirely unconscious process, the cerebellum monitors this tension via constant feedback from tiny nerve organs called muscle spindles that are distributed throughout skeletal muscles. However, a breakdown product of muscle activity called lactic acid can interfere with the spindle's feedback to the cerebellum. Under most conditions, this breakdown in communication does not occur because the products of muscle metabolism are whisked away by the circulatory system before they can back up into the muscle spindles. However, if lactic acid removal fails to keep up with lactic acid production, lactic acid can begin to seep into the spindles. When this occurs, feedback from the muscle spindles to the cerebellum about the resting tension of the muscle becomes blunted. The cerebellum interprets the blunted feedback as an indication that the muscle is too relaxed, so it orders up more tension. The increased tension ramps up the accumulation of lactic acid both because it increases the rate at which the metabolite is produced and because the muscle contraction itself cuts off circulation, thus trapping more lactic acid in the muscle. The rising concentration of lactic acid further blunts feedback to the cerebellum, causing it to order up even more tension. Eventually, the muscle can become so tight that even at rest the rate of lactic acid production begins to exceed the rate at which it can be removed, resulting in a sustained, self-perpetuating contraction called hypertonic spasm. Thus, muscles have all the ingredients to make cement, and if we do not flush them out on a regular basis through movement and healthy exercise, the cement will harden. That's why hospitalized patients are made to get up and walk even if they have just undergone major surgery! In addition to losing function, hypertonic muscles squeeze and irritate the nerves that pass through and between them, which is what causes the vast majority of acute and chronic musculoskeletal pain. Part of what makes it so confusing is that hypertonus is painless until it progresses to the point of irritating local nerves. Whenever skeletal muscles contract, core fibers are recruited first. Hence, when hypertonic spasm develops, it begins in the core of the muscle and grows outward. An expanding core of spastic muscle can take years to develop to the point where it begins to cause nerve irritation. Until then, it grows silently as long as there are enough non-spastic fibers in the more superficial layers of the muscle to meet the demands placed upon them. But if the body is asked to do something that overwhelms the ever-thinning layer of healthy reserve muscle, that last reserve can remain tight because there is no more reserve muscle to recruit in its place. The tight muscle bundles can then irritate the delicate nerves that are passing through and between them. This explains why we become increasingly prone to injury as we age. The older we get, the less healthy reserve our muscles have and the more likely they are to become overwhelmed, seize up, and irritate local nerves. Once a muscle's last remaining reserve becomes locked in spasm, it can either unlock gradually, or it can remain locked and become hypertonic. Most commonly, a mixture of the two occurs. That's because the tissue is engaged in a never-ending battle between lactic acid production and removal. Routine movements and various forms of exercise increase blood flow, which helps to remove lactic acid, but the muscle contraction that powers those movements increases lactic acid production. If the rate of lactic acid removal exceeds the rate of production, the muscle will tend to relax, and the symptoms will tend to improve. Conversely, if production exceeds removal, the muscle will become even tighter, and the symptoms will become even more pronounced. In some cases, simple rest will help, but sometimes not because it all depends upon the delicate balance between lactic acid production and removal. A muscle at rest produces less lactic acid than a muscle at work, but when the muscle is at rest, circulation is reduced, which means the removal of lactic acid is reduced. This basic physiologic phenomenon explains why exercise sometimes helps, and rest sometimes helps, but it can be hard to tell which is going to be best and for how long. It also explains why the recovery process can take so long, years sometimes. But even when all the pain resolves and recovery seems complete, the recovery is most often not complete; the pain is merely masked by the production of endorphins. Even in the unlikely event that there is a complete release of the acute spasm over time, the real problem--the muscle's hypertonic core--remains and slowly progresses as we age. Today there are numerous treatments that claim to be effective at reducing symptoms and even correcting the various problems that are believed to underlie chronic musculoskeletal pain. But only KANON targets the real problem--the hypertonic core. As the health of hypertonic tissue is restored, the muscle gradually relaxes, reinflates with blood, and regains its ability to do meaningful work. As the muscle's reserve capacity is restored through continued therapy, the muscle's risk of reinjury steadily decreases, and the muscle regains its youthful tone, vitality, and versatility. KANON myotherapy relieves hypertonic spasm by recalibrating the brain's muscle tension regulatory center. This is primarily accomplished using the Biopulser®, a hand-held instrument about the size of an iron that has a pulsating head that is specifically calibrated to stimulate the flower-spray nerves of the muscle spindle cells without triggering the unwanted stretch reflex. The mechanical stimulation overrides the inhibitory effect of accumulated lactic acid, thereby restoring the ability of the flower-spray nerves to tell the cerebellum that the muscle is too tight. As the cerebellum recalibrates and reduces the resting tension of the muscle, circulation improves during both rest and exercise, and the health of the muscle is gradually restored. This can also be accomplished with precise fingertip stimulation of the muscle, but the Biopulser® is easier to use, and, if used early and aggressively, may be all that's needed. In more severe or chronic cases, the best results are obtained when the Biopulser® and fingertip massage techniques are used in a complementary fashion. Beyond being safe, the treatment is usually painless and in many cases pleasurable because its effectiveness depends upon the practitioner's ability to stimulate the tissue without causing guarding by the patient. On the other hand, it can be both challenging and taxing for the therapist because a symptomatic area usually involves an entire region of the body, and all related muscles need to be treated to varying degrees and in the proper balance if the treatment to be maximally effective .KANON myotherapy is based on a precise understanding of human anatomy and neuromuscular physiology as it pertains to chronic musculoskeletal pain and is unparalleled in its safety, tolerability, and effectiveness. After I injured my lower back and developed sciatica several years ago, I consulted more than thirty practitioners, including five primary care doctors, three orthopedic surgeons, twelve chiropractors, four physical therapists, five athletic trainers, three massage therapists, two cranio-sacral therapists, and spent over one hundred hours in physical therapy, including spinal traction therapy, without any improvement or even an accurate diagnosis; and as a physician, I consulted some of the best. It was not until I discovered KANON myotherapy that my real problem was identified, and I began to get better. KANON myotherapy is the only known method of releasing hypertonic spasm. For reasons that are too lengthy to discuss here but which are detailed in The Golden Book of Muscle Health and Restoration, other treatment modalities can help, or at least seem to help, but they do so only by affecting the portion of the muscle that has not yet become hypertonic. That's why symptoms tend to recur and why people often say, once you have a bad back, you always have a bad back; or once you injure something, it's never never quite the same. Only KANON specifically addresses the root of the problem--the hypertonic core. So if you really want to fix the problem and restore the health and vitality of your muscles, this treatment is a must. 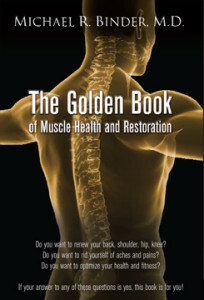 If you would like to learn more about treatment, you can order The Golden Book of Muscle Health and Restoration online at www.amazon.com. The book is short, concise, and contains everything you need to know about hypertonic spasm and its treatment. The book also discusses diet and exercise as they pertain to the prevention of hypertonic spasm and the development of an optimal but safe exercise routine. It is a little known fact that improper exercise can damage your health in more ways than just injuring you. Through the overproduction of lactic acid, it can adversely affect every organ and system of your body, thereby negating or even outweighing the benefits of exercise. The Golden Book discusses this in detail. Also available on the subject of hypertonic spasm is Dr. Griner's website www.kanonbio.com and his original publication: What's Really Wrong With You? It can be purchased from the Biopulser® website: www.biopulser.com or through your local book store. For those interested in treatment, there is still an unfortunate lack of KANON practitioners in most states across the country. Word about this groundbreaking treatment is still in its fledgling stages, and it may be some time before the treatment is available in your area. If you happen to be in the Chicago area, you can contact Sharon Drewett at (312) 371-7255 or sharondrewett78@gmail.com. Ms. Drewett has several years of experience with both the BioPulser® and the fingertip stimulation techniques and is a highly talented myotherapist. If you live elsewhere in the United States, you can visit www.biopulser.com for further guidance and information. Even if you are currently unable to see a KANON practitioner, the BioPulser® Signature Series is available for purchase at www.biopulser.com. The device would be difficult to use on one's self, but a therapist or trainer could use it on you. There would be a learning curve, but patience and persistence should lead to the desired benefit. The treatment is even safe enough to be done with the help of a non-professional such as a family member or friend if such a person were willing to assist you. Other information that I found to be extremely helpful in assessing my problem and accessing treatment came from the NeuroSoma.com website of Ms. Tamsin Stewart who is an experienced myotherapist and educator in Charlottesville, Virginia.